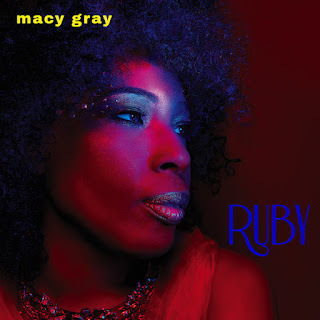 Wrap-Up Magazine: Macy Gray Surprises Us With New Album "Ruby"
Macy Gray Surprises Us With New Album "Ruby"
Grammy Award winning artist Macy Gray has released her 10th studio album, RUBY. The 12-track project is a monumental body of work that tackles topics of love, politics and more in a way that only Macy can. On RUBY, Macy collaborates with music luminaries that includes guitarist Gary Clark, Jr. and producers Johan Carlsson. She also enlists fellow platinum singer-songwriter, Meghan Trainor, on the first single “Sugar Daddy” alongside Bianca “Blush” Atterberry, Tommy Brown and Thomas Lumpkins.